Did you know that 60 percent of the world's Christmas decorations are made in one single Chinese village? 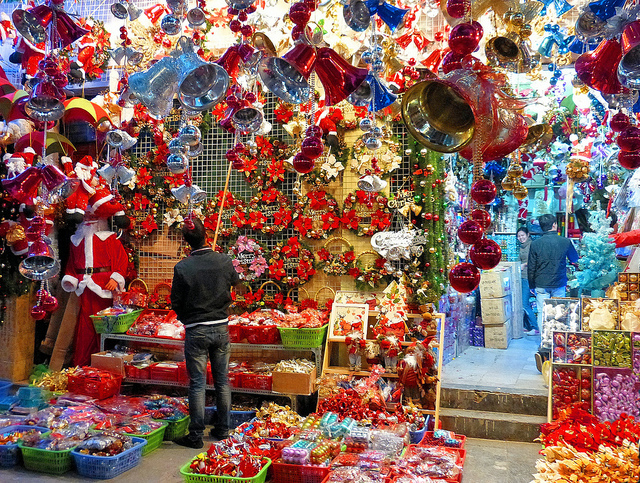 Did you know that 60 percent of the world’s Christmas decorations are made in a single Chinese village? Ever wondered where plastic Christmas decorations come from? Unfortunately, they are not made by an army of elves at Santa’s workshop. (I wonder what their wages would be?) 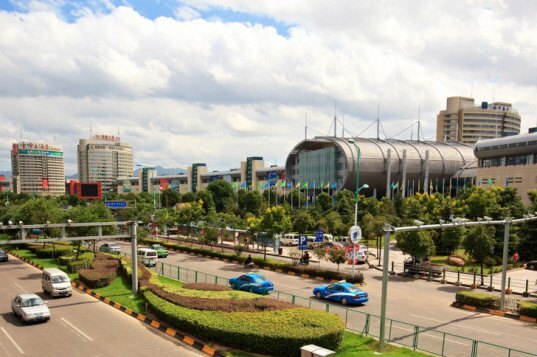 Instead, according to an expose by The Guardian, most are produced inside the Chinese village of Yiwu, where 600 factories produce 60 percent of all of the world’s festive decorations. The factory workers in Yiwu put in long hours in less-than-ethical working conditions, often dealing with toxic chemicals that have the potential to cause lasting damage to their health. In the article, The Guardian discovered that a majority of the world’s baubles, tinsel and LED lights are actually made by an army of laborers at a factory in Yiwu; a small town 300km south of Shanghai. This mini city is divided into five districts and one of them is devoted entirely to making Christmas ornaments. One of the people who makes the decorations is 19-year-old Wei, who like many of the other labourers, works 12 hours a day for a maximum of £200 to £300 a month. To add insult to injury, many of them aren’t even sure what Christmas is. Related: Five Gadgets to Help Green Your Holidays! “Maybe it’s like [Chinese] New Year for foreigners,” says Wei, a worker who came to Yiwu from rural Guizhou earlier in the year. According to Sina via The Guardian, Wei and his father spend their days taking polystyrene snowflakes, dipping them in a glue bath, and putting them into a powdering machine that turns them red. He has to make 5,000 of them every day, and goes through 10 face masks each day to keep the powder out of his lungs. Once made, the snowflakes are packaged up and transported to the Yiwu International Trade Market, aka China Commodity City, which is described as a “4m sq wonder-world of plastic tat”. This is the place where many of the world’s traders get their stock—everything from inflatable toys to artificial Christmas trees. This metropolis of global consumerism was described by the UN as the “largest small commodity wholesale market in the world”. While it may benefit from the Christmas season, this massive complex is losing out to online retailers. However, China is rapidly becoming its own best customer as a thriving middle class seeks to embrace the annual festival of Mammon and, in some places, Christmas. While Wei may not get the appeal of Christmas himself, he is hoping to save enough money to return to Guizhou and marry his fiancee. As for us, well, at least we now know where those 99-cent baubles come from. Did you know that 60 percent of the world's Christmas decorations are made in a single Chinese village? Christmas is rapidly becoming more popular amongst the Chinese middle class.